GTK would like to introduce an upcoming exhibition at Takashimaya Mauseum where is on the 7th floor of Takashimaya Department store on the southwest corner of Shijo and Kawaramachi St.
Kawai Kanjiro is a well-known potter in the beginning of 20th century. 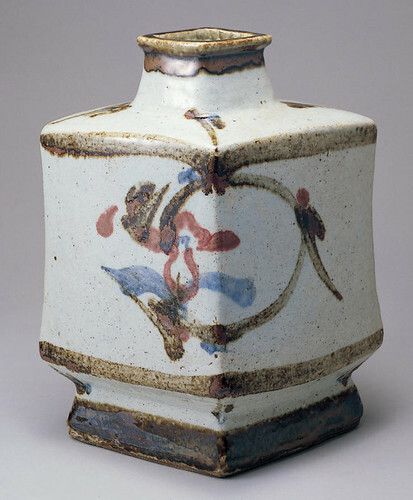 He was born in SHimane Prefecture in 1890, and moved to Kyoto to start his potter life in 1920. His pottery is folklore, so look warm and nostalgic. His residence and atelier is the museum for his works at present. In this exhibition, about 180 works including not only the pottery but also the wooden sculpture, furniture and calligraphy will be exhibited. 10 tickets are available at c.coquet, travel information office in front of Kyoto Imperial Palace.